Emily Smith at cnn.com offers a piece on the late Sir Roger Moore that is but one example of what a class act he was. It's the touching tale being shared across social media following Roger Moore's death. Londoner Marc Hayes recalled a story about the actor, who was best known for his portrayal of James Bond in the '70s and '80s, on Facebook. The post is a poignant reminder of why we idolize television and movie stars. 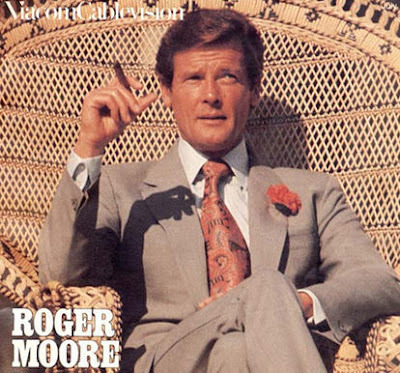 As a seven year old in about 1983, in the days before First Class Lounges at airports, I was with my grandad in Nice Airport and saw Roger Moore sitting at the departure gate, reading a paper. I told my granddad I'd just seen James Bond and asked if we could go over so I could get his autograph. My grandad had no idea who James Bond or Roger Moore were, so we walked over and he popped me in front of Roger Moore, with the words "my grandson says you're famous. I remember staying by our seats and my grandad saying "he says you've signed the wrong name. He says your name is James Bond." Roger Moore's face crinkled up with realization and he beckoned me over. When I was by his knee, he leant over, looked from side to side, raised an eyebrow and in a hushed voice said to me, "I have to sign my name as 'Roger Moore' because otherwise...Blofeld might find out I was here." He asked me not to tell anyone that I'd just seen James Bond, and he thanked me for keeping his secret. I went back to our seats, my nerves absolutely jangling with delight. My grandad asked me if he'd signed 'James Bond.' No, I said. I'd got it wrong. I was working with James Bond now. 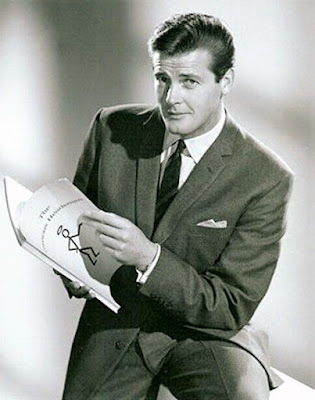 Note: Although I disliked Sir Roger Moore's lighthearted approach to portraying James Bond, I was a huge fan of The Saint, his TV series that originally ran when I was a teenager in the 1960's. I also read and enjoyed all of his interesting, intelligent and amusing books. By all accounts, Sir Roger was a class act.